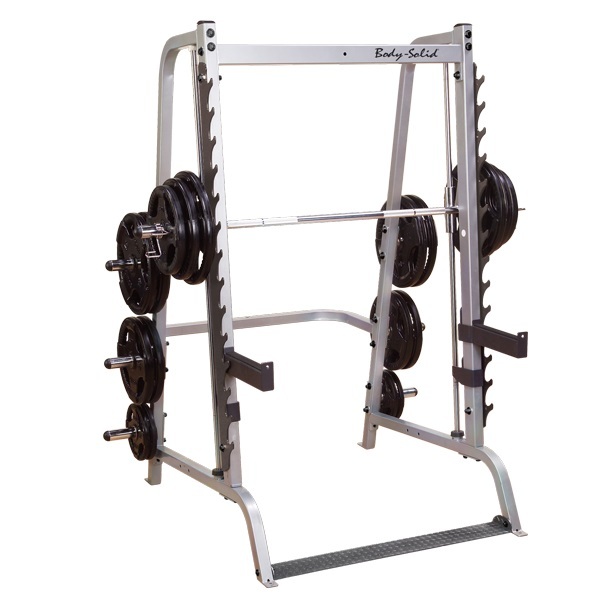 The Body-Solid Series 7 GS348Q Smith Machine is set to a 7-degree reversed pitch, the Series 7 allows natural upper and lower body movements for maximum muscle interaction; a feature not found in the traditional Smith Machine. 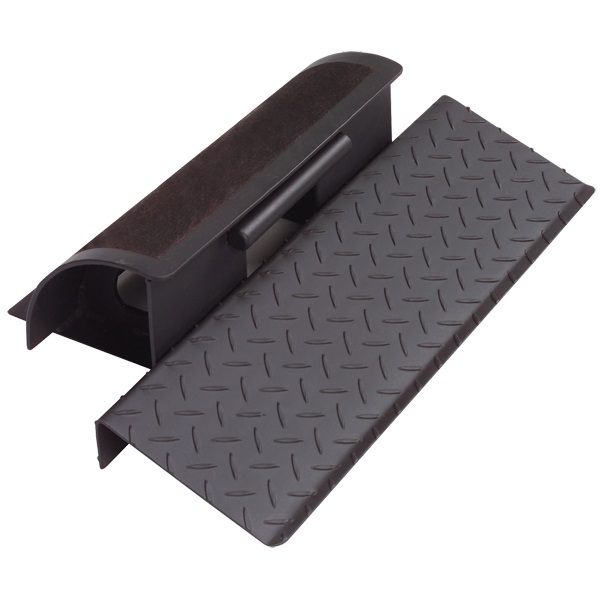 User safety is provided by 20 cross-member lock-out points that are accessible with a simple 15-degree rotation of the bar, eliminating the need for a spotter. 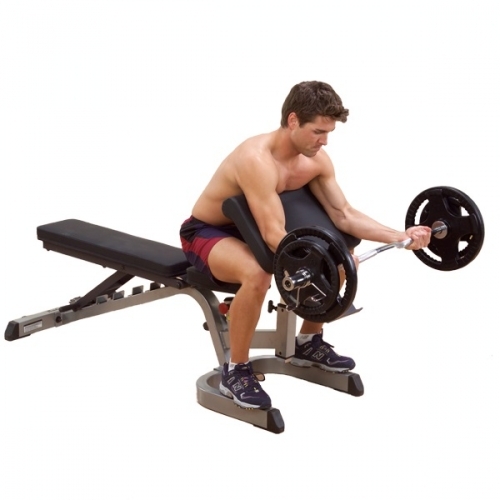 For those exercises that demand freeweight movement, the 14-position gunrack with 17" extra heavy-duty safeties is also set to a 7-degree reversed pitch providing convenient lift-off points and predictable racking. The Body-Solid Series 7 Smith Gym GS348P4 allows you to develop muscle mass beyond your imagination at a rate that will amaze you. You get virtually all the same exercises as you do in a fully equipped gym, but in the convenience of your own home, on your own schedule, without the need for a spotter. 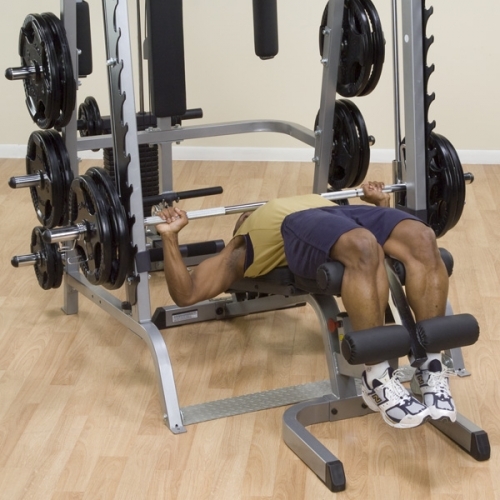 This is not just another smith machine. The process of developing a cutting edge, state-of-the-art Series 7 Smith Gym System that meets Body-Solid's meticulous standards of quality that has not been easy. Choosing the right piece of exercise equipment is an important investment in your health and should not be taken lightly. The Body-Solid Series 7 GS348Q Smith Machine will provide the ultimate fitness experience that will take you to a new level of workout motivation. 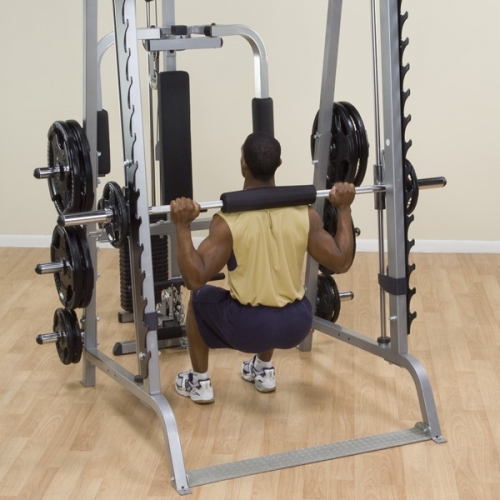 The Body-Solid Series 7 GS348Q Smith Machine can get you where you want to be Bigger, Faster and stronger. This Body-Solid Series 7 GS348Q Smith Machine will help you achieve a rapid path to good health, physical fitness and the body you really want. 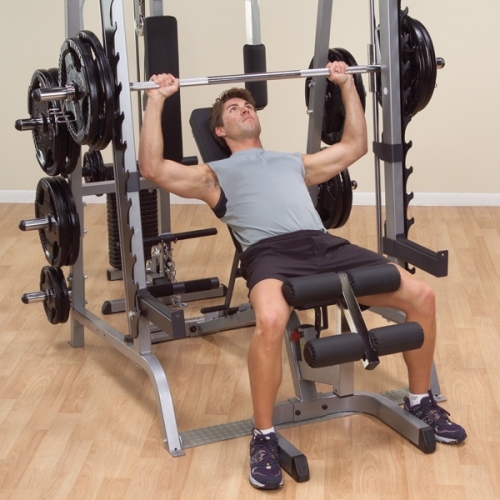 The Body-Solid Series 7 GS348Q Smith Machine works great with any bench for intense chest and shoulder routines. Add the optional Selectorized Lat Attachment for high and low cable exercises, lat pulldowns, triceps pressdowns, cable crossovers and much much more! The Body-Solid Series 7 GS348Q Smith Machine is the product of advanced biomechanical design, superior structural engineering and meticulous quality standards. It is a collection of the best benefits the Smith Machine, Half-Cage and Multi-station Gyms have to offer and its backed by the best warranty in the industry. 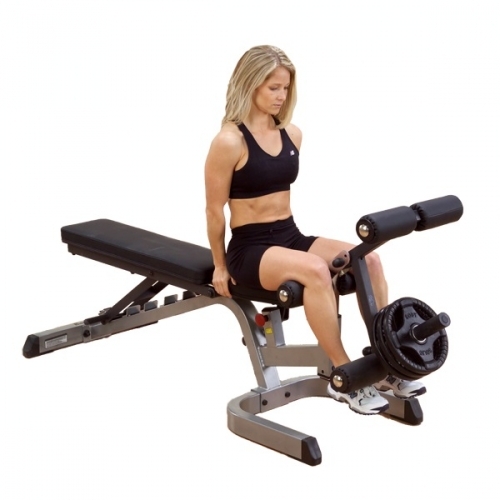 The 7 angle was designed to allow natural upper and lower body movements for precise chest and gluteal biomechanics. Over 50 exercises are available on the Series Body-Solid Series 7 Smith Gym GS348P4 System and all of them can be done correctly under your control. Every set, every rep, every movement. That is how you get real results. And there's only one thing you want from your gym system. Results. Please feel free to call 1-800-875-9145 to talk with one of our agents with any questions you may have about the Body-Solid Series 7 GS348Q Smith Machine. 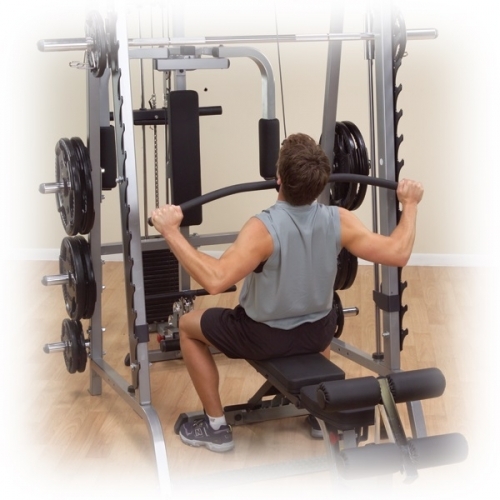 Don't wait to start a journey to a healthier and stronger body order your Body-Solid Series 7 GS348Q Smith Machine from FitnessZone.com today! We are committed to servicing our customers with their fitness needs. 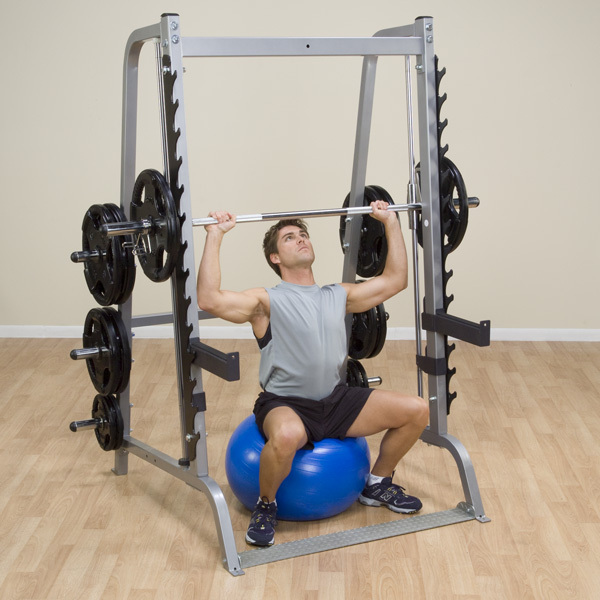 Order your Body-Solid Series 7 GS348Q Smith Machine from FitnessZone.com today!